Your card is lovely. Great backgroundpapers. This is too much cuteness for one place! Love the image and sentiment together. Thank you for sharing with us at Dream Valley. What a fun card! love the image and the poka-dotted paper! thanks for playing along at love to scrap challenge blog! 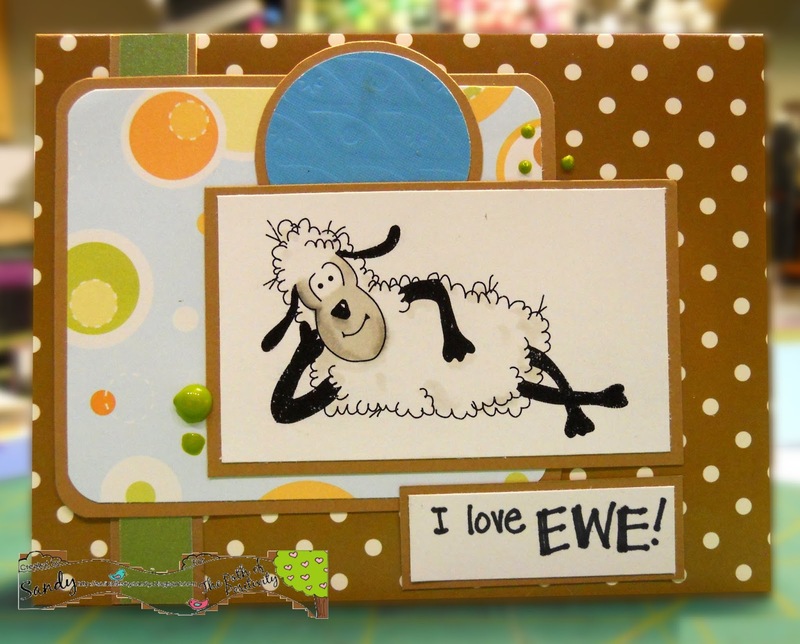 Such a cute, fun card Sandy! Thanks for playing along with us at Love to Scrap! Challenge Blog.